are booked to display in Zhuhai, China on May 18th. The team pilots consist of Tom Cassells, Leader, John Taylor as number nr 2 (right side) Mark Jefferies nr 3 and Chris Burkett nr 4 in box. The display will last 16 minuets with various elements of the display. 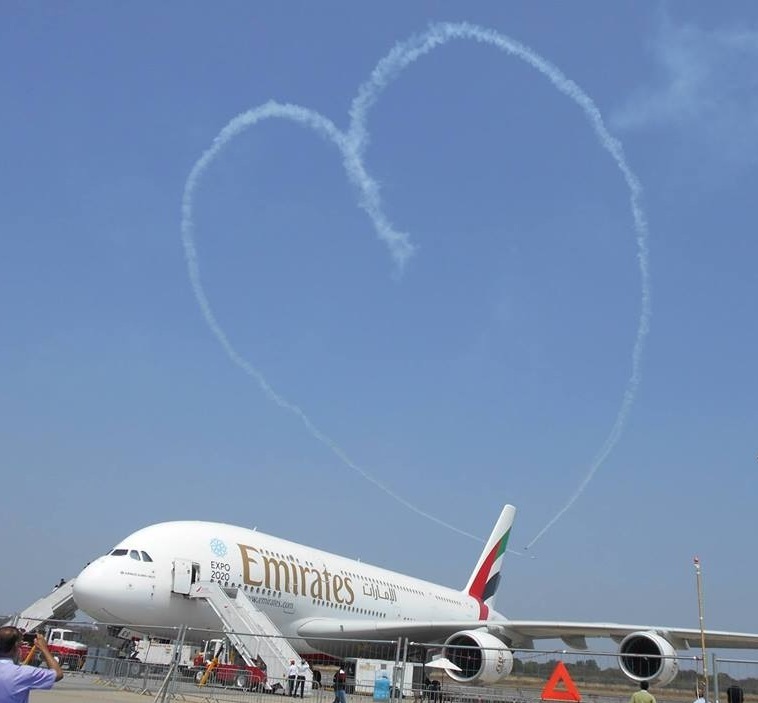 Starting as a 4 ship display, splitting into 2 pairs for opposition aerobatic passes, one of the pairs (Mark and Tom) will then perform the heart to huge applause. 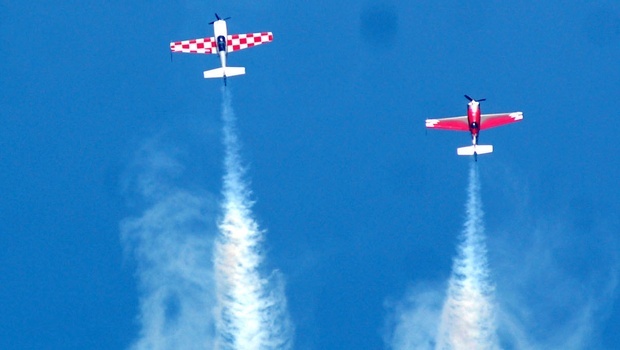 Mark then does a 3;30 unlimited aerobatic freestyle display whilst 1, 2 & 4 join up. 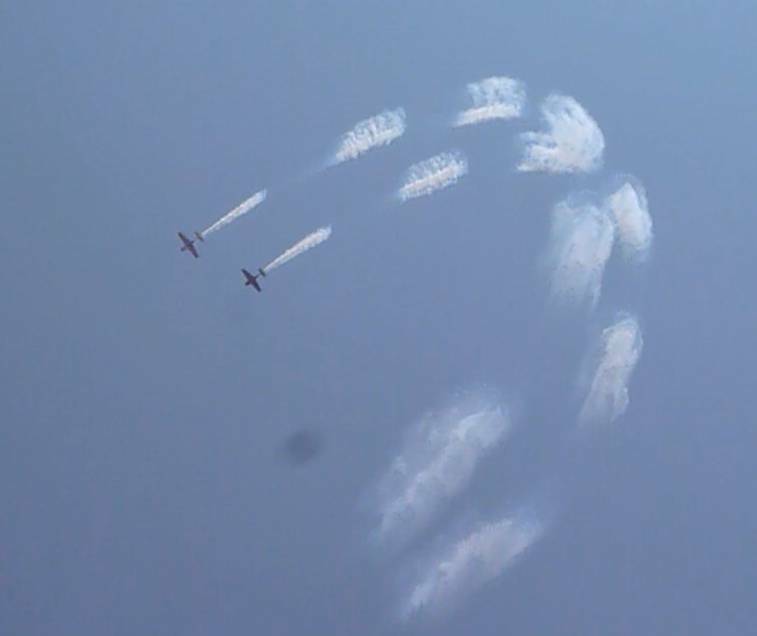 As the 3 ship element runs in Mark swoops down from above joining the team to make 4 aircraft formation again for the final section of the show. A brief biog of the team. 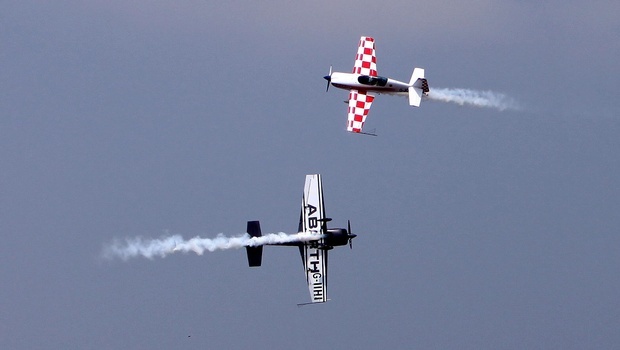 Tom Cassells, former tank driver in the British army has been flying aerobatics for 25 years. British champion several times. He’s now running 170 trucks moving food to UK supermarkets. John Taylor, formally Brian Lecomber’s wing man flying the Extra 300L in the Micro Lease team. total flying time 8500 hours approx. A professional airshow pilot for 25 years, now also instruction formation and aerobatics. Chris Burkett flying in box. Chris relatively new to International display flying doing his first show in Bahrain as part of the DHL team. Chris is an accomplished solo display pilot standing in for Mark on occasions. Mark Jefferies, team owner and driving force. The aircraft all EXTRA’S. Tom flying the Extra 260, John the Extra 300L, Chris Extra 300S and Mark in the Extra 330SC. Upon completion of the show all aircraft will be disassembled and sent back to the UK for displays in the UK and Europe.